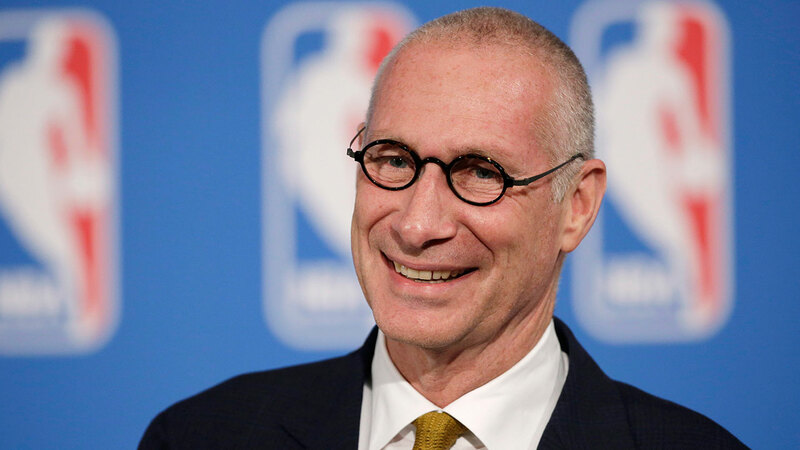 In this Oct. 6, 2014, file photo, ESPN President John Skipper smiles during a news conference in New York. John Skipper resigned as president of ESPN and co-chairman of the Disney Media Networks on Monday. George Bodenheimer, ESPN's president from 1998-2011 and its executive chairman until May 2014, will take over as the acting chairman of the company for the next 90 days to help Disney chairman and chief executive officer Bob Iger find Skipper's replacement. "Today I have resigned from my duties as President of ESPN," Skipper said in a statement. "I have had a wonderful career at the Walt Disney Company and am grateful for the many opportunities and friendships. I owe a debt to many, but most profoundly Michael Lynton, George Bodenheimer and Bob Iger. "I have struggled for many years with a substance addiction. I have decided that the most important thing I can do right now is to take care of my problem. "I have disclosed that decision to the company, and we mutually agreed that it was appropriate that I resign. I will always appreciate the human understanding and warmth that Bob displayed here and always. "I come to this public disclosure with embarrassment, trepidation and a feeling of having let others I care about down. "As I deal with this issue and what it means to me and my family, I ask for appropriate privacy and a little understanding. "To my colleagues at ESPN, it has been a privilege. I take great pride in your accomplishments and have complete confidence in your collective ability to continue ESPN's success." Skipper, 61, joined ESPN in 1997 as senior vice president and general manager of ESPN The Magazine. He was named to his current job on Jan. 1, 2012. "I join John Skipper's many friends and colleagues across the company in wishing him well during this challenging time," Iger said in a statement. "I respect his candor and support his decision to focus on his health and his family. With his departure, George Bodenheimer has agreed to serve as Acting Chair of ESPN for the next 90 days to provide interim leadership, help me identify and secure John's successor, and ensure a smooth transition. I am grateful for George's support and look forward to working with him again in this temporary role." Bodenheimer, 59, was named president of ESPN on Nov. 19, 1998 and continued in the job through the end of 2011. He was then the company's executive chairman after Skipper took over as president of the company.